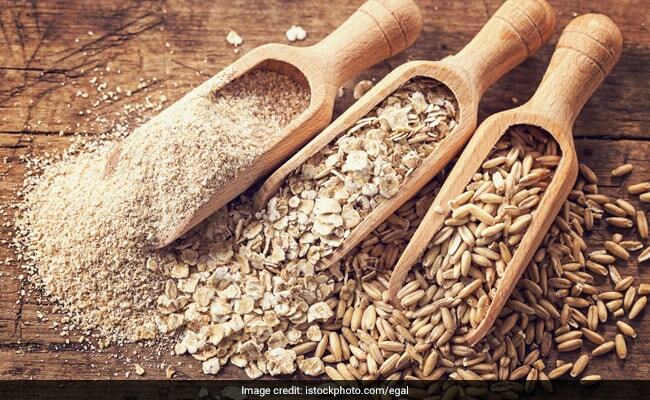 According to a latest study, consuming whole grain foods on a regular basis such as barley, brown rice, millet, oatmeal and rye may help lose weight as well as decrease the risk of heart disease and diabetes, a study has claimed. Whole grains are the grains that contain all three original parts -- the bran, germ, and endosperm as opposed to refined grains, which retain only the endosperm. According to a latest study, consuming whole grain foods on a regular basis such as barley, brown rice, millet, oatmeal and rye may help lose weight as well as decrease the risk of heart disease and diabetes, a study has claimed. The findings revealed that participants who ate grains exhibited lesser signs if inflammation particularly in overweight people, which has been known to increase the risk of developing Type 2 diabetes. The participants were also found to eat lesser as compared to those taking refined varieties, because of an increased level of satiety induced by whole grains.Importantly, having a whole grain diet, helps lose weight, as compared to refined grains - rich in starch, gluten and devoid of natural fibre. "Our analysis confirmed that there is a sound scientific basis for the dietary recommendation to eat whole grains. This may particularly apply to people who are at increased risk of developing cardiovascular disease or Type 2 diabetes," said Tine Rask Licht, a professor at the Technical University of Denmark. The team included adults at risk of developing cardiovascular disease or Type 2 diabetes. The participants were then divided randomly into two groups, with whole grain diet and refined varieties for eight weeks. For the study in the journal Gut, researchers also used DNA sequencing to analyse stool samples from the participants in order to examine whether the different diet types affected the participants' gut bacteria composition. Overall, the analysis did not show major effects of the dietary grain products on the composition of the gut bacteria. "However, even though the analysis did not reveal significant changes in the average gut microbiota after whole grain consumption, it may well be that the individual composition of our gut microbes has an impact on the individual reaction of our body to dietary whole grains," Licht explained. Whole grains have also been linked to aid weight loss and curb obesity. Consultant nutritionist Dr. Rupali Dutta says, " Whole grain and not processed cereals provide energy to sustain and grow and are also a major source of all essential nutrients. Stock up on whole grains like Bajra, Ragi, Maize and Jowar, use them often. Try red and black and brown rice instead of white rice .Use these whole grains for breakfast porridges, they taste great."